Valid, one of the world’s most experienced companies in the production of secure documents, will be participating in the 27th Brazilian natural mineral water conference, and in Expo-ABINAM 2018, both of which will be held Natal, Rio Grande do Norte State, from September 5 to 7. 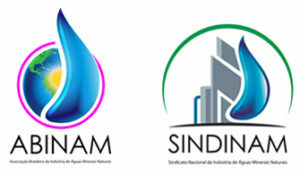 The initiative is part of the company’s initiative to contribute towards improving processes for tracking the origin of mineral water in Brazil. During the event, Valid will give demonstrations on the use of the trackable seals – both physical and digital – used to prevent fraudulent bottling of mineral water and to track the origin of the product. Read more here. Valid is a proud sponsor of the AAMVA International Conference. 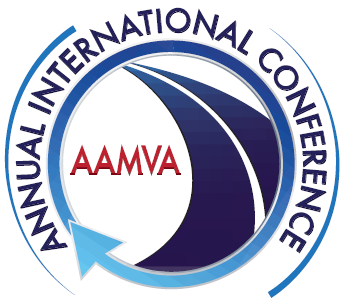 Click here to learn more about AAMVA. Valid will participate at the Mobile World Congress Shanghai 2018, Asia’s largest Mobile event, held on June 27-29th in Shanghai, China. During the event, Valid will speak at the eSIM workshop and will share our expertise regarding the eSIM market evolution – specifically, the next big wave in IoT. Valid will explain the benefits and challenges around eSIM in IoT through the demonstration of various successful use cases and how these valuable insights can develop new products and services, thus expanding core businesses for MNOs and Device Makers. Valid is positioned as a technological partner, providing key services to help our clients address IoT by delivering secure, scalable, and interoperable state-of-the-art solutions. In addition, Valid is also pursuing our investments to develop new solutions that enable the digital transformation process of our clients to help them achieve a better IoT customer experience. Valid will sponsor Ingenium Mobile 2018, an event organized by JSC Ingenium. This fourth edition of the first event in Spain is exclusively for virtual mobile operators and constitutes a unique opportunity to learn the latest news & updates within this market and analyze the future of MVNOs and MNOs. Ingenium Mobile 2018 will take place on Wednesday, June 20th at the amphitheater of Palacio Linares in Madrid, Spain. The event is comprised of top level speakers, success cases and debates to discuss new business opportunities for the MVNO sector, among others. For another year, Valid will participate as an exhibitor at the Secure Payments & ID Congress 2018, the largest event for private and public companies seeking innovative solutions in the payment, identification & authentication, and security & fraud prevention. The event will be held on May 29th at the Wanda Metropolitano Stadium, stand 18 in Madrid, Spain. Valid is investing in the development of solutions and services in the payments sector to help financial institutions throughout their digital transformation process in order to meet the needs of their clients and offer a better customer experience, strictly adhering to required safety standards. Within our portfolio of solutions and services, Valid offers biometrics, social networks, secure online payments, Blockchain, PSD2, and more. All are available in different media platforms found throughout the world. In two short years, we participated in key partnerships throughout Spain, Portugal and North Africa. In all cases, Valid was positioned as a technological partner of financial institutions to assist them in the evolution of traditional payment methods such as the card, offering leading technological solutions like wearables or stickers, in addition to sustainable materials (PLA, PETG, BIO PVC or PVC recycling) or metal. One of the keys to our success has been our partnership with Info-Direct, a leading bank card customizer, and our collaboration with ServiRed for various initiatives. Come and visit us at Booth 18! Valid sponsor of the Secure Payments &ID Congress 2018. 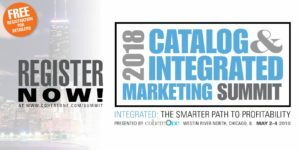 As a sponsor of the CohereOne Catalog and Integrated Marketing Summit we are able to extend to you FREE registration for the event, which is being held May 2-4, 2018 at the Westin River North in Chicago, IL. As our guests, registration is FREE ($1,000 value) and meals at the conference are included. A discounted hotel room rate for attendees has been arranged at the Westin River North in Chicago for $259/night as an added bonus. The Summit will focus on three concerns of today’s direct marketer: delivering cohesive, data-driven Marketing, integrating web behavior to drive Marketing , and responding to disruptive Marketing forces. Click here to register as our guest. Click here to review the schedule of events. Please write info@valid.com if you would like to schedule a meeting with us at the event. MDX18 is a unique industry event where marketers come together to share new ways of thinking, build partnerships and cover new strategies to address key industry challenges. Hear from some of the most provocative and influential speakers in the data, digital and analytics space. Gain thoughtful insight into emerging technologies and best practices. Network with thought leaders and experts while enjoying MeritDirect’s legendary hospitality. MDX provides a platform for B2B and B2C Marketing, Demand Gen and Sales Professionals to network with their peers and gain insight into the best practices and strategies in all disciplines of data-driven marketing. As an added benefit, attendees will have access to best-in-class solution providers in the space today via our sponsors. Valid is a proud sponsor of The MeritDirect Marketing Experience MDX18. Click here to learn more about the event. 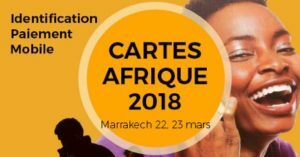 Valid will attend for the second consecutive year Cartes Afrique 2018 that will be held the 22-23 of March 2018 in Marrakech, Morocco. This year Valid will participate in this event as Bronze Sponsor showcasing our banking solutions portfolio to increase our presence in Africa, a fast-growing market with a lot of new opportunities for our business. Valid will be taking part in the Novas Tecnologias em Saúde [New Technologies for Healthcare] seminar on March 16, from 8 a.m. to 12:30 p.m, at Casa Fasano, in São Paulo. The event will cover perspectives of Brazilian healthcare management with the participation of Health Minister Ricardo Barros, who will be announcing new developments in the computerized system for Brazil’s healthcare system (known as SUS). Márcio Nunes, General Director of Valid Digital Certification, will take part in the discussion, and he believes that one of the most important technological tools currently is digital certification. Learn more here.